Mirror canopy beds include not only a canopy but also a mirror. The mirror is located above the headboard, and it offers a unique and stylish look. Designers use mirrors of all shapes and sizes, and the canopy on a mirror bed is often custom made to fit perfectly with a room's décor. Showrooms and design houses also offer a selection of mirrored bed styles for their customers. The canopy bed is historically synonymous with princesses and childhood. Many little girls enjoy a canopy bed for the fun it offers and the imagination it sparks. However, these beds are not just for little girls and not made solely in pinks and pastels. Adult-friendly canopy beds offer style, class and elegance. Canopy beds with mirrors add a one-of-a-kind beauty to any room. Beds can have mirrors in the headboard or on the wall above the headboard. Both styles offer a look that is unlike any other bedroom set. Designers and decorators have the ability to create custom crown canopy beds for their clients. Individuals often have their custom-made canopies changed in order to match any alterations in a room's décor. As an alternative to crown canopies, headboard mirrors offer a similar look and atmosphere. Headboard mirrors do not depend on the canopy or fabric for support. The mirror or mirrors are located in the headboard itself, below the canopy. Mirror canopy beds can be fun do it yourself projects. Whether you decide to make one canopy or more than one, it is important to keep a few things in mind in order to achieve the personal touch that comes with any successful do it yourself project. The first step in designing and creating your own mirror canopy bed is to consider the style you strive for in the room. Some canopy beds are formal, while others are fun or simple. Close canopies to cover the entire sleeping area, or place to frame the headboard and front area of the bed. Once style is decided, choosing the fabric and the mirror become simple tasks. The ideal fabric for the canopy depends on the style of the bed and personal preference. Fabric colors for adults include rich colors, while the best fabric hues for young children may be lighter colors. After choosing the appropriate fabric, it is important to gather the correct amount through accurate measurements and patterns. After you select the style and purchase the fabric, it is time to find the correct mirror. Consider a mirrored headboard or a mirror set amidst the crown canopy. 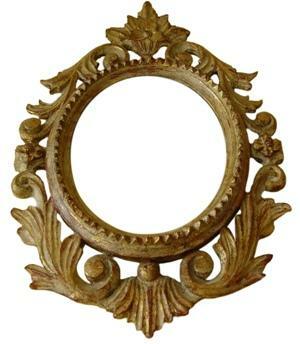 If the choice is a crown canopy, the mirror shape depends on the designer's preference. Angular shapes complement some types of décor while others look best with round shapes. That is the reason why the style, fabric and mirror should all be part of a larger cohesive design. Historically, canopy beds were not created for style or elegance. Canopies offered protection against bugs and other unwanted pests that could fall from a poorly constructed roof. As the quality of residential roofs improved, the canopy bed changed from a necessary item to a stylistic option.